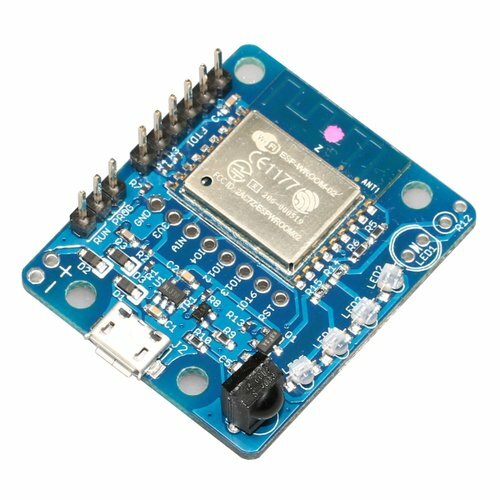 This is a board with ESP-WROOM-02 Wi-Fi module, IR LED and IR remote control receiver module. You will be able to control your air conditioner etc. using Wi-Fi. 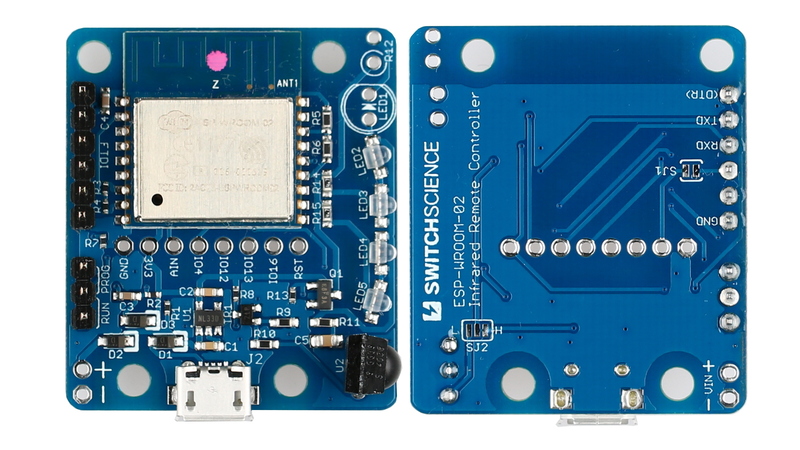 It also has an IR remote control receiver which enables the board to read the code on the device you have chosen. You can switch from programming mode to running mode by replacing the jumper socket.You will need Serial USB converter (5 V/3.3 V selectable) for programming mode. Use jumper socket to switch from firmware programming mode to running mode.